If you’re interested in coming aboard Thalatta then details of our future events and day sails can be found here. You can also follow us here on Facebook to stay up to date with all our news. Contact our Booking Coordinator at info@thalatta.org.uk and confirm your place on board. It’s that time of year again! We are having a Working Party Weekend on the 6th and 7th April. This is a great opportunity to help the Thalatta team by taking part in maintaining and preparing her for the coming season. Roles will include sanding, painting, cleaning and sorting so come prepared with warm, messy clothes. Bring your own lunch, but there will be plenty of strong tea and coffee provided throughout the day. Arrive any time after 9am and stay for as little or as long as you like, come for both dates or just one. All welcome and bring a friend. It’s a wonderful chance to get to know Thalatta better and see behind the scenes! Thalatta is at Heybridge Lock Basin and there is free car parking nearby in Daisy Meadow car park. We are planning some exciting 2 and 3 day cruises for 2019 and before selecting dates we would like to find out if people are interested! We will travel around the creeks and rivers of the East Coast, stopping each night in a quiet anchorage. You can be as involved in the running of the barge as much or as little as you would like – take a turn at the wheel, help set the sails, or just sit, chat and relax and enjoy the changing views. Prices are likely to be around £200 & £300 respectively and will include accommodation and all meals. Dates will depend on the level of interest and availability of Thalatta. Anyone interested should contact mike.keeling@thalatta.org.uk in the first instance. 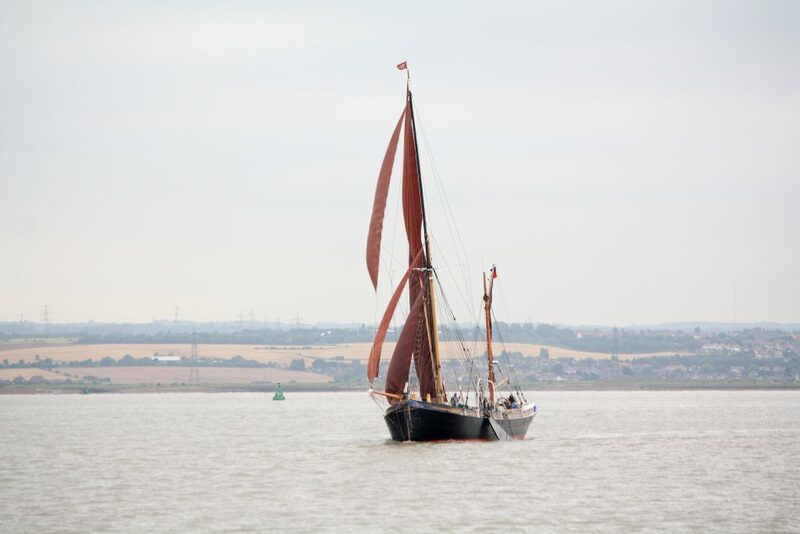 We have four of our very popular Day Sails planned for the 2019 season. Each trip is limited to 12 guests which means that everyone can be actively involved in all aspects of working the vessel from sail handling to steering. Alternatively just sit and watch the beautiful rivers Orwell and Stour pass quietly by. Coffee, tea and soft drinks together with a light lunch will be provided for an inclusive price of £70 per person. Departure will be from Ipswich Haven Marina around 9.30am and we will return around 4.30pm(ish). To book a place please email our booking coordinator at info@thalatta.org.uk.